It is the enthralling theories and myths the Hinduism has, which surprises us day-to-day. There are enormous stories, plots, and facts that often spellbound us all the way to tickle the sense of curiosity about Hindu Mythology. Be it Ramayana, Mahabharata or other popularly sacred texts, every book carries heaps of stories, a handful of unearthed secrets and the mysteries that could stun everyone. Coming to the former epic tale Ramayana, there are many stories with remained unfolded and do deserve another read. And, if we switch back to further past, we can acknowledge many other crazy things that will completely blow our mind. If you aren’t aware, let us tell you that Ravana was actually married to Mandodari when he abducted and brought Sita to Lanka. 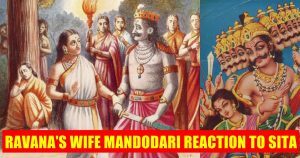 Mandodari was often praised and acclaimed for her loyalty and affection towards husband Ravana. According to some Ramayana adaptations, Mandodari is also the mother of Rama’s wife Sita, who is infamously kidnapped by Ravana. 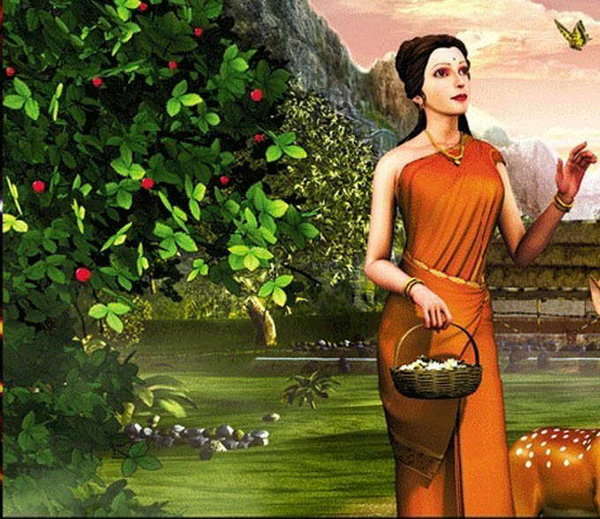 Despite her husband’s faults, Mandodari loved him and advised him to follow the path of righteousness. 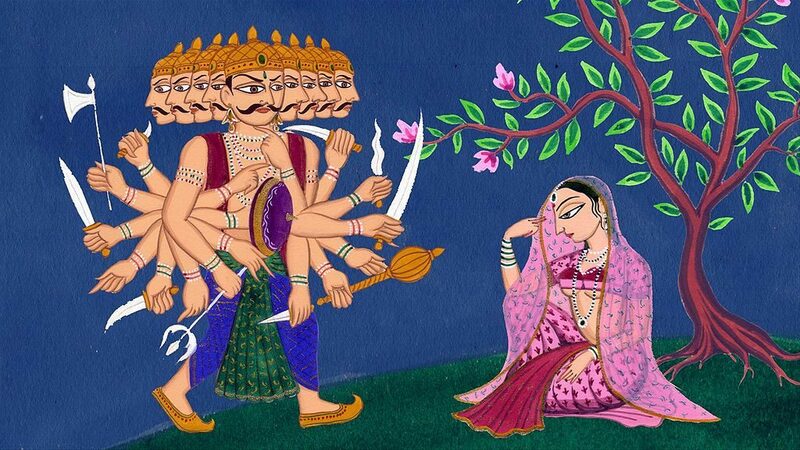 Mandodari repeatedly advised Ravana to return Sita to Rama, but her advice fell on deaf ears. Mandodari knows this lust will bring the downfall all at once. All this has happened while Sita was suffering sitting under the tree. Different versions of the Ramayana record her ill-treatment at the hands of Rama’s monkey generals. Some versions say they disturb a sacrifice by Ravana and some that they destroy her chastity, which was the last protection for Ravana’s life. Once there came a situation when Ravana was in a rage and attempted to slay Sita with his sword. It was Mandodari who told him that the murder of a woman is a heinous sin and thus Ravana should not kill Sita. 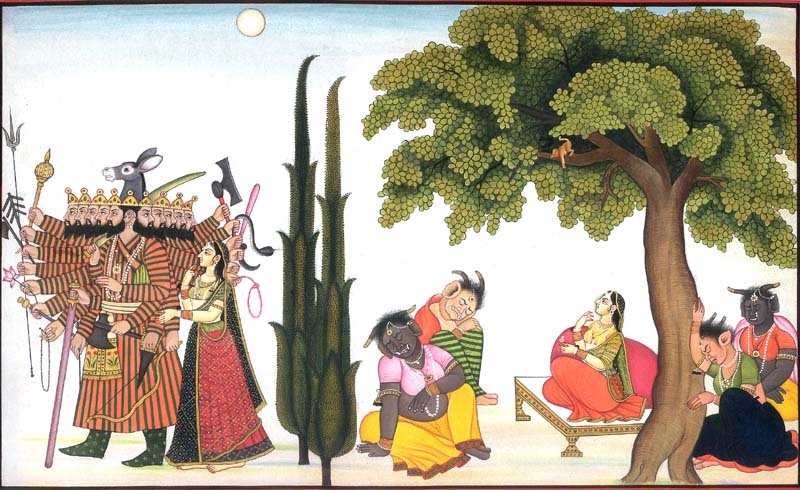 She asks Ravana to entertain himself with his other wives and give up the idea of having Sita as his wife. Ravana spares Sita’s life but does not give up his wish to marry Sita.